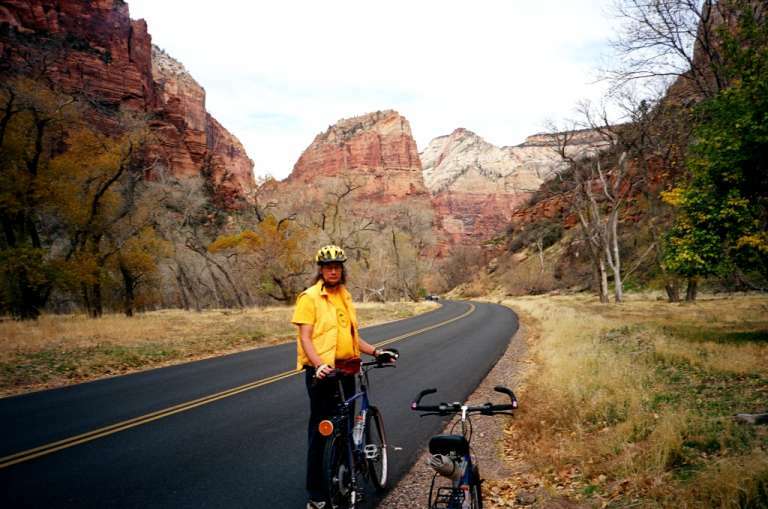 We did this trip in November, and the temperatures were pleasant. 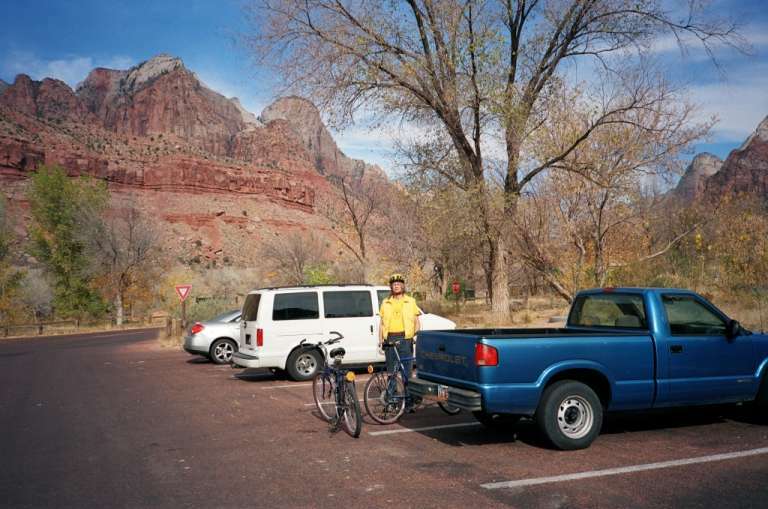 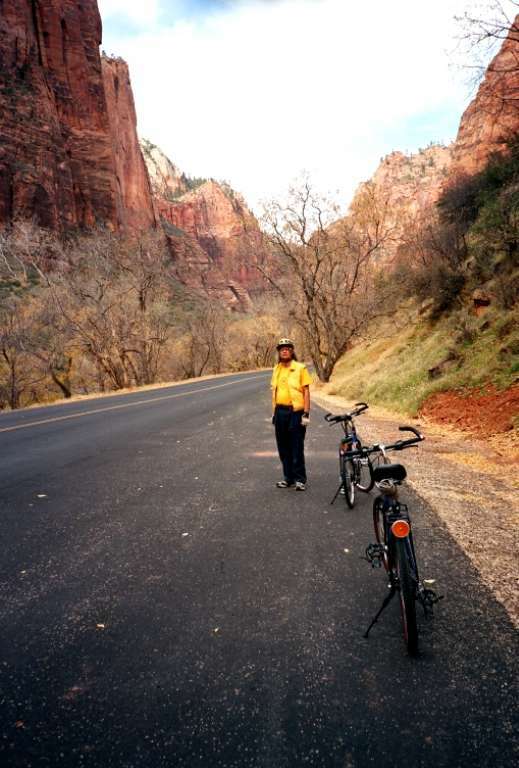 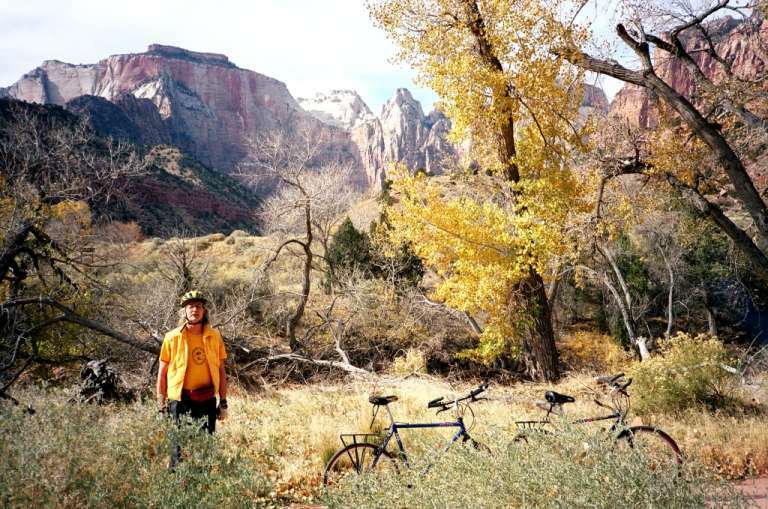 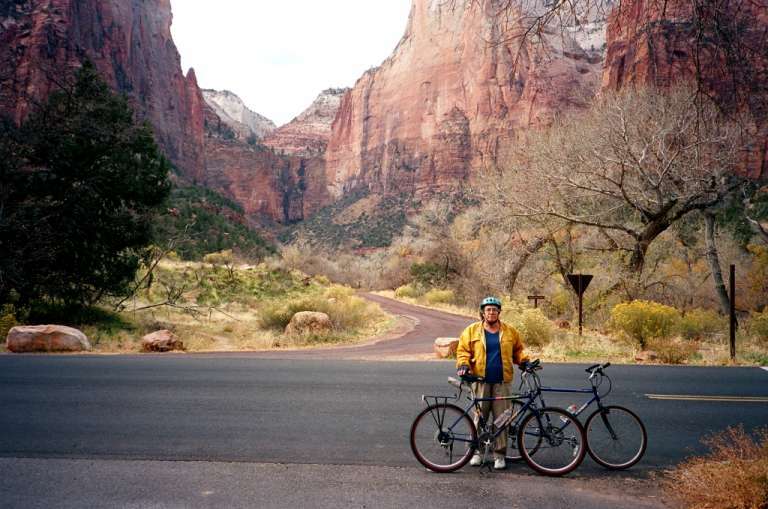 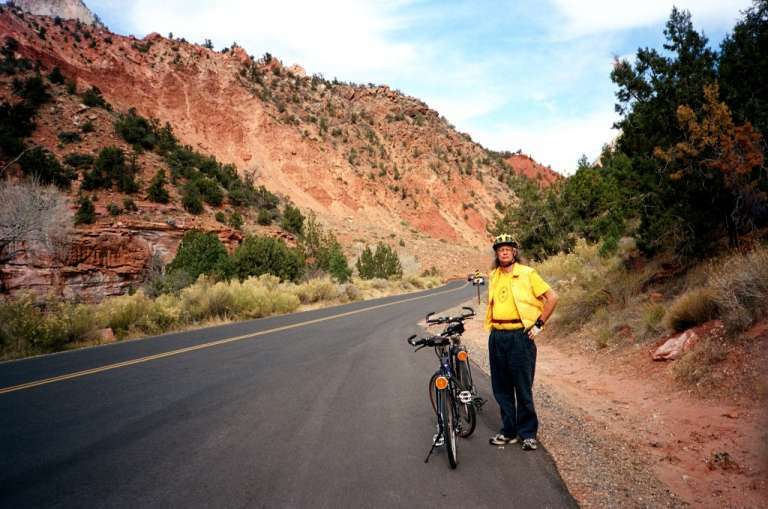 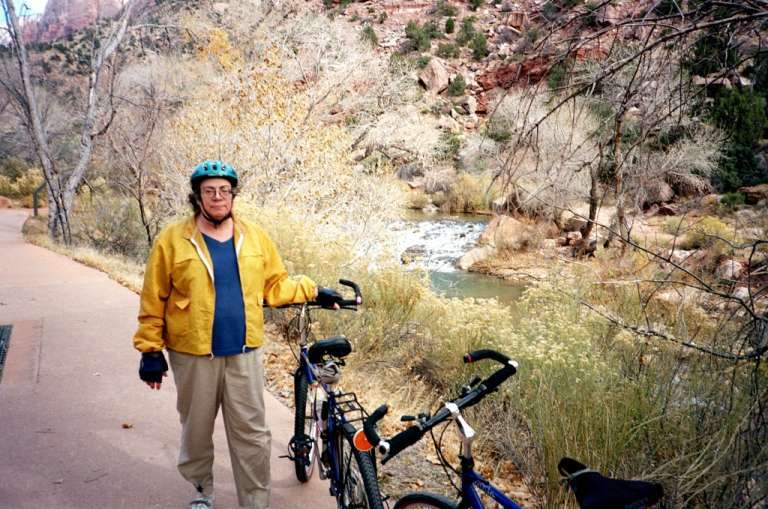 Cycling the main part of Zion National Park has no steep slopes, and now that they use the canyon shuttle system, there is no problem with traffic, or the smell of gasoline fumes. 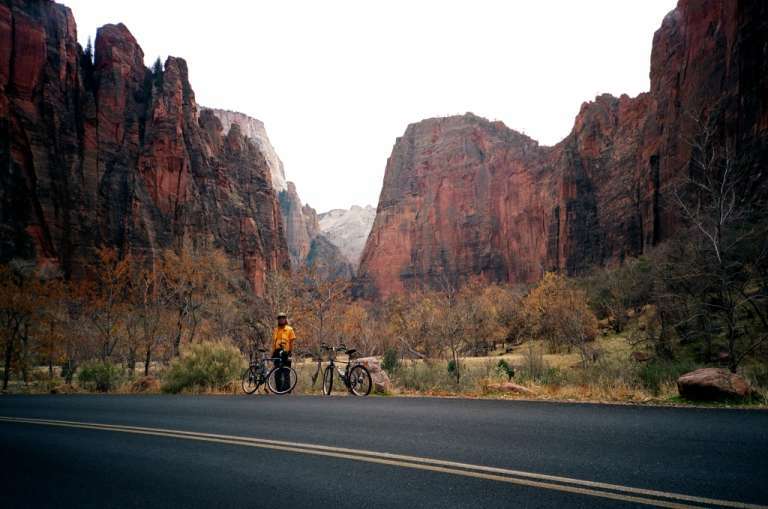  Of course, the scenery is some of the best in the world. 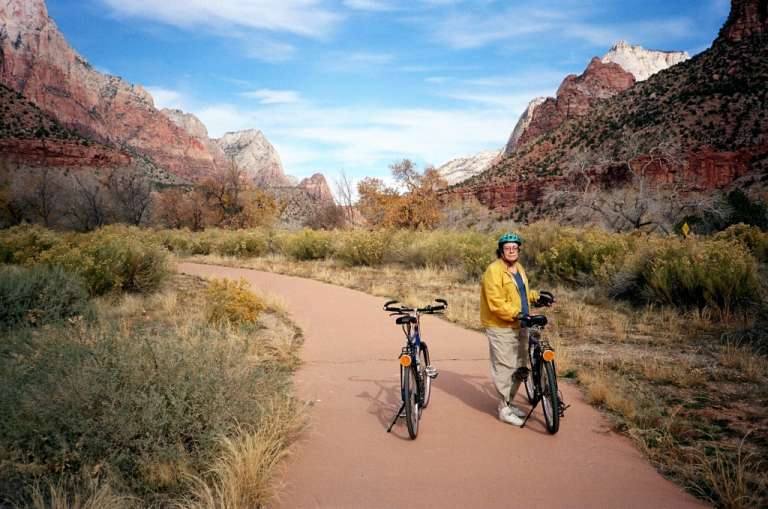 Even if you have to rent bicycles in Springdale, give this trip a try – you'll be glad you did! 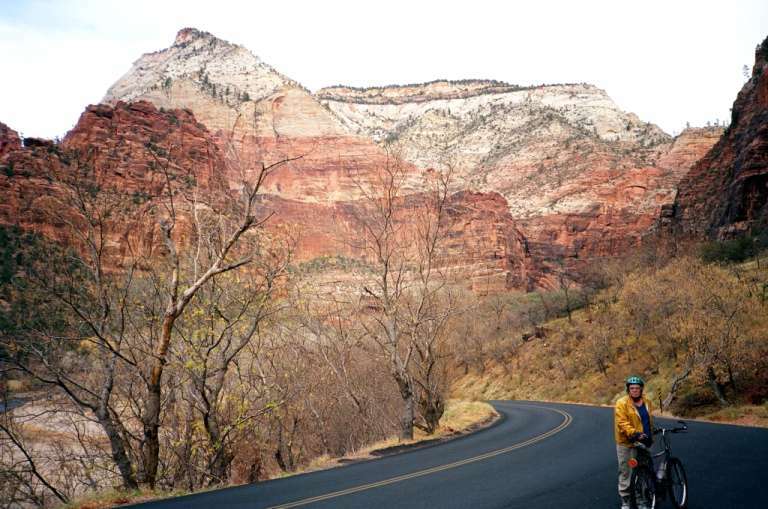 At the junction of highway 9 and the Zion Canyon road (the road heading north to the Zion Canyon Lodge), the Pa' Rus trail ends, and you go north on the highway. 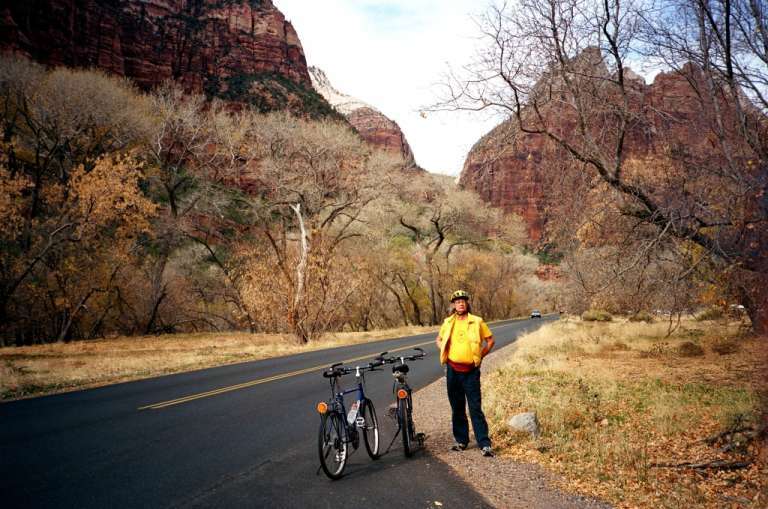 Now that the Zion Canyon Shuttle is in-use, there is very little traffic. 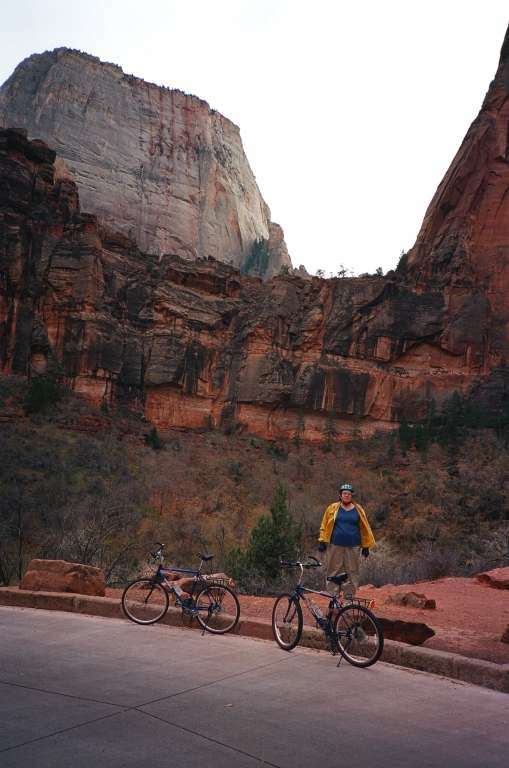 The Great White Throne – if you hike the Observation Point trail, you'll look down on the top of it!